Are you looking for the best places of Bangalore to visit ? Don’t think much because I have one of the best place for you. BANGALORE, the capital of the Indian state Karnataka. This beautiful city is known as “Garden city of India”. Its well known for the most important tourists centers of the Karnataka state. 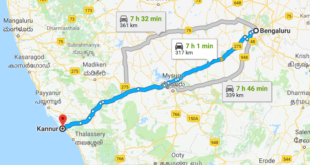 Bangalore has many loving and beautiful tourist attractions but I guess the ones’ I spotted are amazing places for the visitors to move on to. Hope you will enjoy with a little history, entertainment and fun. Let’s take a look over my selection. 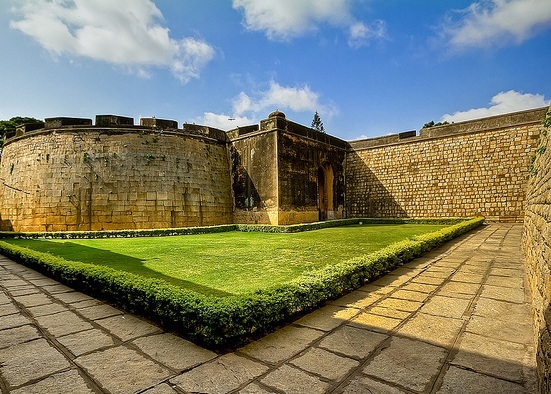 Bangalore fort was a mud fort which was constructed in in 1537. As the time passed away, Haider Ali replaced the mud fort to a stone fort which was made up of granite stones in 1761. The builder of the Fort was Kempe Gowda who was the vassal of the vijaynagar empire. His statue is built just opposite to Bangalore corporation office . The Britishers conquered this fort since 1791 and they just dismantled it for various reasons such as laying roads, building schools and hospitals and many more. A beautiful root of historical tree, Bangalore Palace was built by Rev.J.Garrett – the principal of the central college, Bangalore. The construction of this palace began in 1862 and was completed in 1944. Now the palace has recently been renovated by the Mysore Royal family. The ground floor has an open courtyard containing granite seats covered with fluorescent blue tiles. There is a ballroom for parties. The first floor has a gall named Darbar hall, a sprawling hall where king used to address the assembly. The palace has nearly 30000 paintings. The palace is surrounded by various species of tress. Dining table which is so common is the main attraction of the palace, with a mother-of- pearl inlay with Chinese lacquer work. There’s a room which was renovated and now its a boutique where silks and other garments used by royal family are exhibited. BANGALORE PALACE IS DEFINITELY A MUST VISIT PLACE IN BANGALORE ! 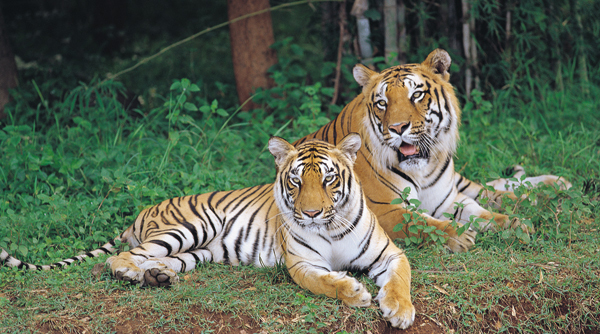 Bannerghatta National Park was founded in 1971 and declared as a National park in 1974. After some time some portion of the park became a biological reserve in 2002. 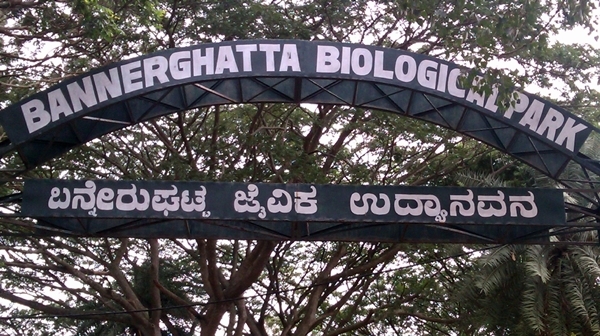 It was named Bannerghatta Biological Park. It covers nearly 25000 acres. Many wild animals like the lion, deer, panther, tiger, elephant and a variety of birds, reptiles move freely in the park. For more convinence, Safari rides are organised for people to view animals closely. Besides this zoo and a biological park there is a museum which is not so big ant it consists of showcasing exhibits and butterfly conservatory. Its a popular tourist location with a zoo, a pet corner, an animal rescue center, a butterfly enclosure, an aquarium, a Snake house and a safari park. Little surprising but they have ancient temples too in the park. This park has a hilly terrain of granite sheets. A very well maintained nature park and is boon to people of Bangalore and all the nearby places by it. BBP is Happy to announce the functioning of a sophisticated air conditioned 3D auditorium within the zoo premises. Flora:- Sandalwood, been, tamarind, bamboo etc. Fauna:- Elephant, jackal, fox, gaur, leopard, wild bear, bear, python, hippopotamus and many more. 101 species if birds are there in the park. 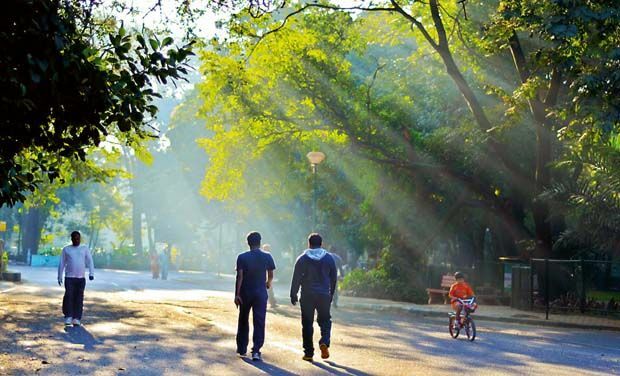 Cubbon Park is officially known as Sir. Chamarajendra Park. Its a historical park and is located in the heart of the city, set on a 300 acre area. Its under the control of the department of horticulture. Its a great place for early morning walkers in a fresh and a healthy environment and to laze in the greeny heaven. Variety of plants, both exotic and indigenous can be found in the park. There are many ornamental and flowering trees. The beauty of this park is covered by the thick bamboos. The park is interspersed with heritage buildings which surprisingly do not disturb the beauty. Some of the popular buildings around this park are Seshadri Jyer Memorial Hall, which is a Library today, Attara kacheri, which is a high Court. It has many motorable roads. It serves as a nature public park and at the same time it aims to protect the environment and the greenery which is maintained. Its a good locality for those who study plants, the naturalists. The park has 68 genera and 96 species with a total of around 6000 plants/trees. The park has been named a silent zone between 5:00 am to 8:00 am. This park organizes some events regularly for which you have to visit this amazing park . It is a best example of Indo-Islamic architecture and was the summer residence of the mysorean ruler Tipu Sultan. It was originally built by Chikkadeva Raya in mud. The Hindu Temple which are seen in the courtyard is said to be the proof of Tipu Sultan’s religious tolerance. The construction was held with the Bangalore Fort made up entirely of teak wood and has beautiful arches, pillars and balconies in architectural style. 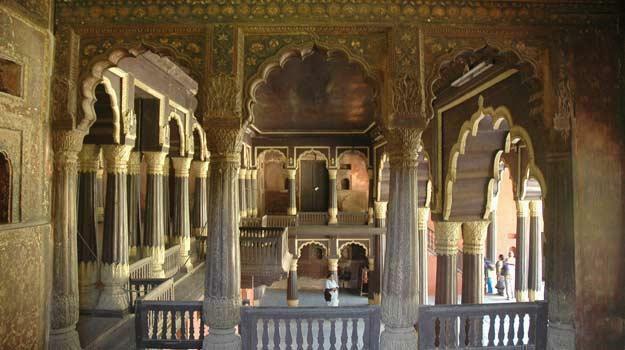 It is believed that Tipu sultan used to conduct darbar from the eastern and western balconies of the upper floor. 4 small rooms are there on the first floor in the corners known as ‘Zenana Quarters’. Emblishment of the walls are done very beautifully. In palace ground floor is turned into small museum show casting various achievements of Tipu Sultan. Lal bagh(or Lal bagh Botanical Garden) which means the Red Garden in English. Its well known in southern Bangalore. It was initially designed in mughal style. It is currently under the aegis of the Directorate of Horticulture, Government of Karnataka. It was given the status of government Botanical Garden in 1856 and since then it is internationally renowned center for scientific study of plants and artwork. If we talk about the look of this Garden, it is a lush green paradise with an area of 240 acres in the heart of the city. It has a famous glass made house which hosts flower show. 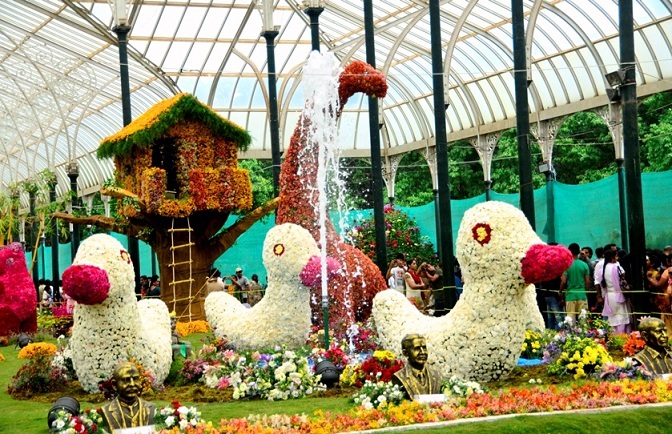 It has India’s largest collection of tropical plants, have an aquarium, lake and it is one of the best and beautiful attractions for tourists in Bangalore. The Park has a huge rock, which is supposed to be more than 3000 million years old, n top of which there is a 16th century tower built by Kempe Gowda. ITS A MUST VISIT PLACE AND NO TRAVELER SHOULD MISS THIS LOVELY PARK. A well known common name, one of the most famous brand known for different kind of ready mix food or instant food items. This place also has a restaurant located at the Lal Bagh road and it has 6 other branches in the city. As a matter of fact, MTR have a branch in different foreign locations like Singapore, Dubai and London. Now let’s have a look on its history. MTR was founded by Yajnarayan Maiya and his brother in the year 1924. In the mid of 1970s when India was in trouble, a food control act was introduced under emergency which made MTR compulsory to sell food at very low price. This problem made MTR stuck in a situation where it had to maintain high standards in its restaurant business. Its fully vegetarian restaurant. It has 2 floors. The entrance gate is eye catching which has a lady on glass etching on the staircase of MTR. It is recommended to reserve a table for a lunch and if you don’t you have to wait in a waiting room for over an hour. There are many restaurants which do not pay attention on cleanliness but MTR pays full attention on cleanliness & quality of food they serve. They cook all their dishes in pure Desi Ghee. Isn’t it amazing? The rava Idlis, Rava Dosas, Masala Dosas and coffee of MTR are very much popular. Coffee is served on ceremonial silver cups. MTR is a must visit restaurant for all the tourists and is included in the local tours of many travel agents. 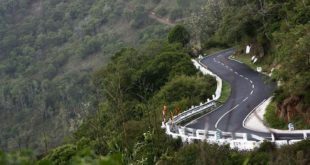 Nandi Hills or Nandidurg is an ancient hill fortress located at about 60 km from Bangalore which is one of the favorite picnic spots for the youth of Bangalore. The reason for popularity of this place is due of its pristine evergreen forests and rich flora and fauna. There are many stories about the origin name, Nandi hills. 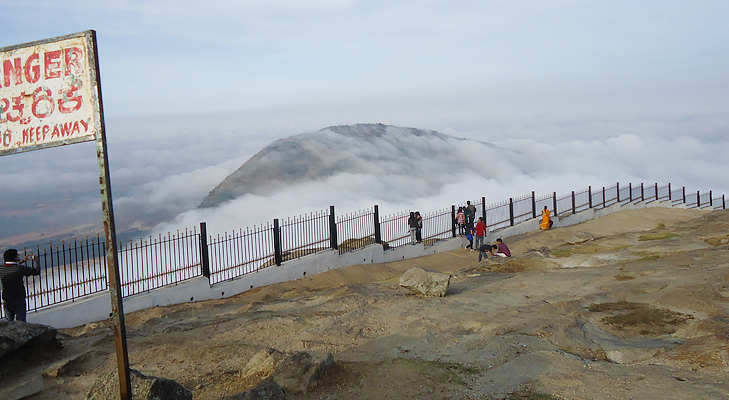 During the chola period, Nandi hills was called Ananda Giri which simply means The Hills Of Happinesses. Another story says that yoga Nandeseshwara performed penance here. Its called Nandi hills because this hill resembles the sleeping bull( Nandi). Its climate appeals to the people of every age. Its very much comfortable for lovers and honeymooners. Even if you prefer to visit this place with family you can enjoy this place on a very low budget. Now it has become a a popular tourist spot especially during summers. It is situated just 20 km away from NH 7 just after Dwanahalli. Once upon a time Bangalore had 300+ lakes but as the time passed away many of the lakes vanished. 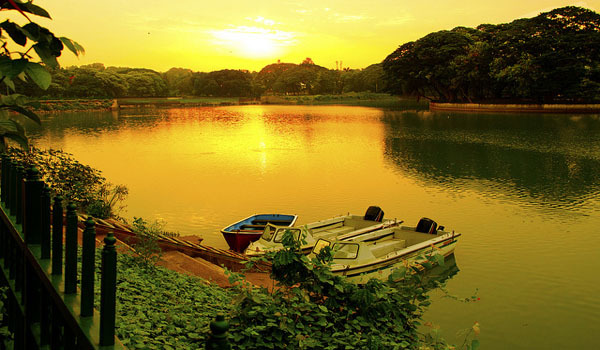 It is one of the oldest lake spread over 123.6 acres and is the only beautiful lake still surviving in Bangalore. It is is gifted to Bangalore by the Gowda dynasty. It was constructed by the Gowda ll. The great attractions of the lake are boating and swimming pool. This beautiful lake has a small park on its bank and number of beautiful islands in the middle. Its 19 ft deep. It derives its name from the name of the locality, Ulsoor hence named as Ulsoor Lake. It has several islands. The lake is located in central Bangalore at a walking distance from the MG road. 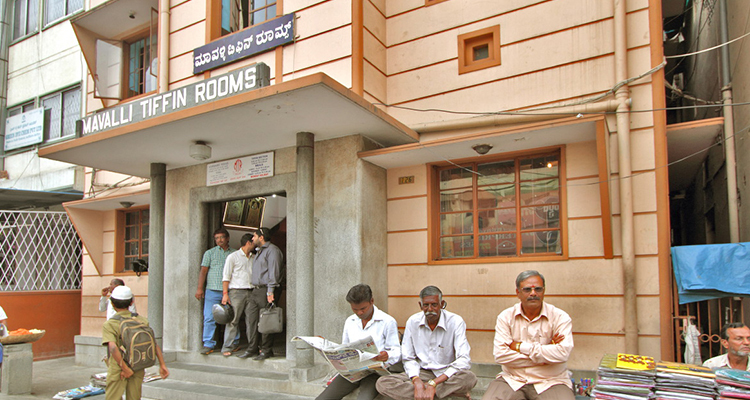 It is the most crowded tourist destination of Bangalore. The tradition of immersing the Ganesha Idol on the eve of Ganesh Chaturthi is also practiced at the lake. A DAY OUT AT THE ULSOOR LAKE GIVES YOU A REFRESHING BREAK FROM THE USUAL HUSTLE BUSTLE OF LIFE !! 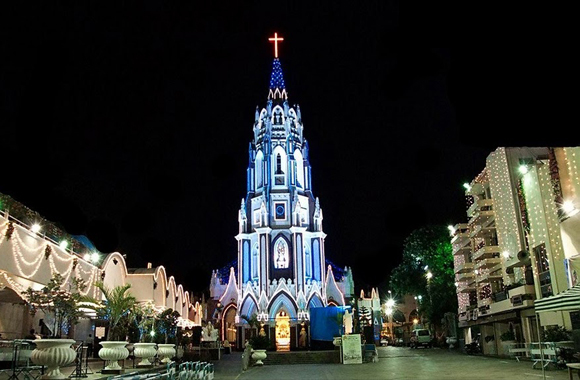 St.Mary basilica is a basilica or a church located in the Archdiocese of Bangalore. It is a very old church and is the only church in the state that has been elevated to the status of a mirror basilica. It is a well known for festivals held during the St.Mary feast in the month of September each year which attracts a number of devotees from in and around. Tanya Sakhuja is a fun loving girl with a passion to contribute to the Tourism of India. She is a Teacher by profession & loves to try her hands in crafts & cooking and she loves reading. 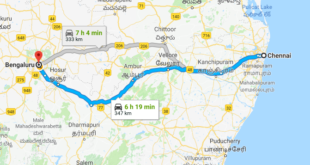 Your Blog information is very useful.Best place to visit in Bangalore Innovative film city is an exciting place to come with your family and friends. Nice to know about Innovative Film City.